In a recent letter to Dave Archambault, the Standing Rock Sioux's tribal chairman, was informed that the land north of the Cannonball River would be closed off to public use. Citing winter's approach and "violent confrontations" between protesters and law enforcement during the struggle against the Dakota Access Pipeline, the Army Corps urged the Standing Rock Sioux to relocate south of the river to an established "free speech zone." However, the land includes historically indigenous land, and Standing Rock water protectors have vowed to stay there, according to the Associated Press. The Oceti Sakowin Camp is located in the area north of the Cannonball River, and for months this camp has been home to the Standing Rock Sioux and their allies as they fight against the construction of the Dakota Access Pipeline on treaty land. In response to the Army Corps' letter, Archambault released a statement in which he reaffirmed his tribe's resolve to protect its water, and he did not encourage the water protectors to move south of the river. Isaac Weston, a member of the Oglala Sioux tribe from South Dakota who is currently at Standing Rock, made it clear in an interview to the Associated Press that the water protectors would not be leaving the "Corps-managed federal property north of the Cannonball River" any time soon. "We are wardens of this land. This is our land and they can't remove us," Weston claimed. "We have every right to be here to protect our land and to protect our water." Among the other activists who have criticized the Army Corps' decision is Dallas Goldtooth, an organizer with the Indigenous Environmental Network. 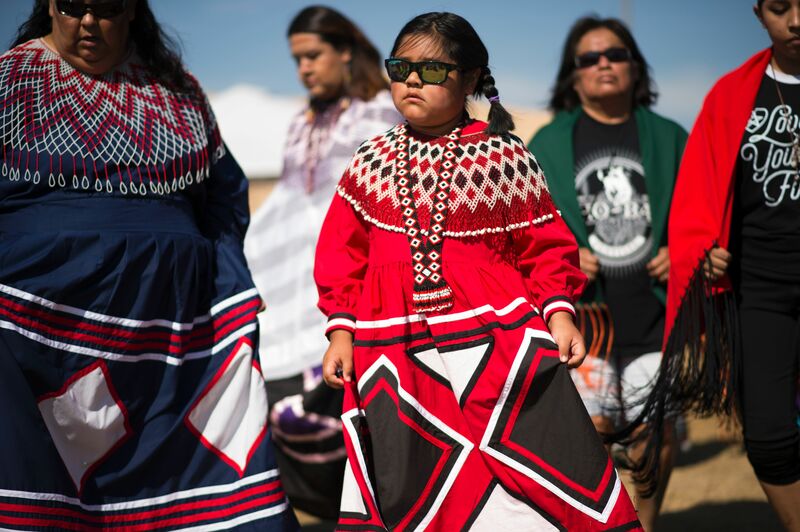 Goldtooth claimed to the Associated Press that the Corps' decision to close off the land north of the river is "an atrocious example that colonization has not ended for us here as indigenous people." Goldtooth also told Reuters that the water protectors "are staying here committed to our prayer. Forced removal and state oppression? This is nothing new to us as native people." In a statement released on Nov. 14, the Army Corps said it will continue discussion, analysis, and input from the Standing Rock Sioux tribe. "We fully support the rights of all Americans to assemble and speak freely, and urge everyone involved in protest or pipeline activities to adhere to the principles of nonviolence," it read. According to Vice, many organizers also still want the federal government to take a stance against the pipeline. Eryn Wise, who works as a media liaison for the International Indigenous Youth Council, called on President Obama to get involved, and explained that staying at the Oceti Sakowin Camp is vital. "Right now our land is to be left unprotected if we are to leave this space," Wise said. "The Indigenous youth are calling upon the United States government for protection. They're begging for people to start caring for them." The Army Corps of Engineers has indicated that it has no plans to forcibly remove anyone — and Archambault told the Associated Press that he believes the Corps likely will not follow that particular course of action. Many water protectors will continue to defend the water and the land, and no one should expect the protests against the Dakota Access Pipeline to relocate any time soon. Here's how to make sure those in need have all the resources they need, medical and otherwise, to face the oncoming winter.